New for summer 2018… we’ve got bigger in every sense of the word! 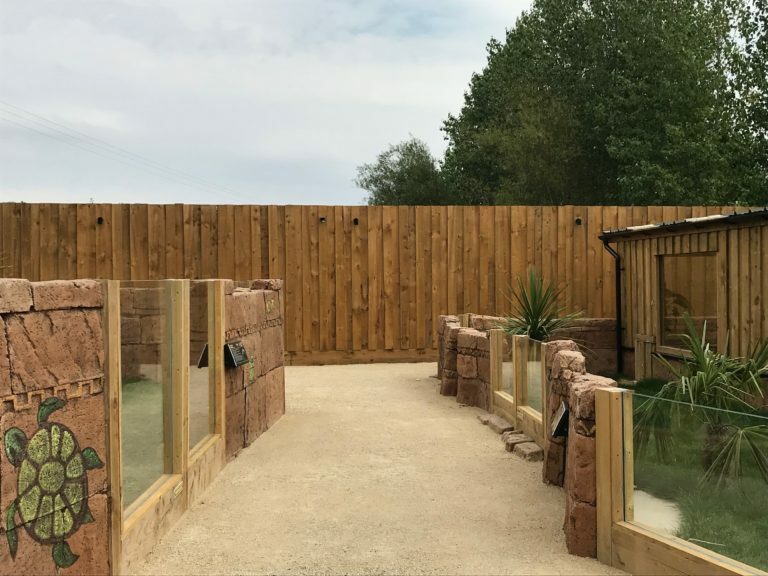 We’ve opened a new reptile area that is home to some amazing new animals in our extended outdoor area including Galapagos Tortoises, the giants of the tortoise world. Here you will also find African Spur Thigh Tortoises, Red Footed Tortoises, Green Iguanas, Alligator Snapping Turtles, Fly River Turtles as well as Freshwater Crocodiles. Galapagos tortoises are the largest living species of tortoise and are only found on the Island of Galapagos, off the coast of Ecudor. In the UK you can only see these giants on display at London Zoo and now also here at Crocodiles of the World. Our four giants consist of three females called Zuzu, Isabella and Charlie who came to us from Chester Zoo. They weigh between 75-90kg and at 17 years old are no-where near fully grown. 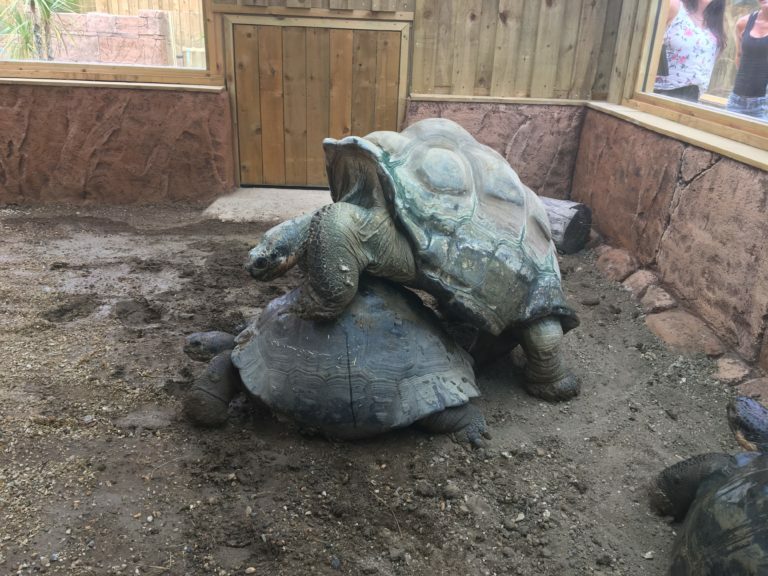 Our Giant male is called Dirk who is the only male Galapagos tortoise in the UK and weighs an impressive 159.8kgs. At almost 70 years old he is probably fully grown, but there’s plenty of life in him yet as they live well into their 100’s. You may well recognise our new residents, as the three females featured in Channel 4’s Secret Life of the Zoo documentary series and Dirk joined us from London Zoo where he’s had lots of media attention. Dirk’s reputation precedes him as he is renowned for his amorous behaviour to his female companions. In fact he was named Dirk by staff at London Zoo after Dirk Diggler from Boogie Nights! He certainly made himself at home very quickly here at the zoo! 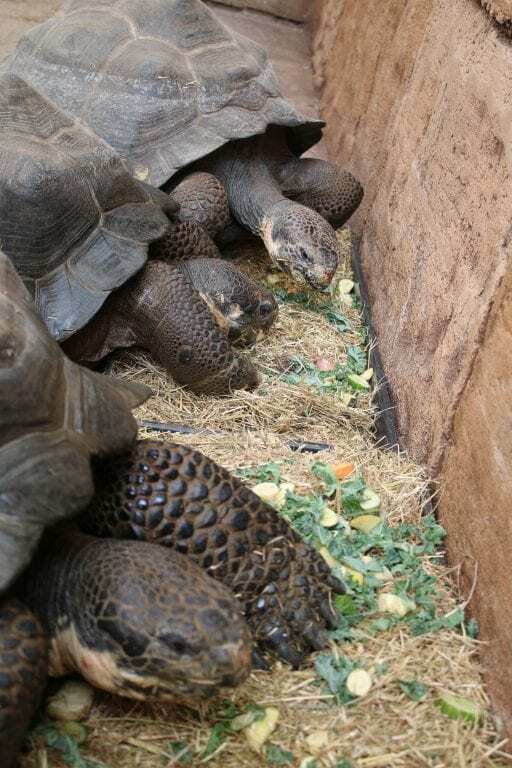 These tortoises are on loan via the European studbook whose job it is to maintain genetic diversity within the captive population. 1. They can live over 100 years in the wild, the oldest ever is said to have been 170 years old! 2. Although their shells are very tough, they are actually made up of honeycomb shaped air chambers. 3. They are herbivores and enjoy eating grass, fruit and leaves. 4. If they needed to they could go for a whole year without food and water, as their body can break down body fat to produce water. Come Meet them soon! We’re open daily 10am – 5pm.